MCT oil is one of the fastest sources of clean fuel for your body and brain. With fewer steps to convert into caloric energy than carbohydrates, it is hands down one of the best ways to power up your performance, support a healthy metabolism, or kick start a weight management program. But, what exactly is MCT oil? 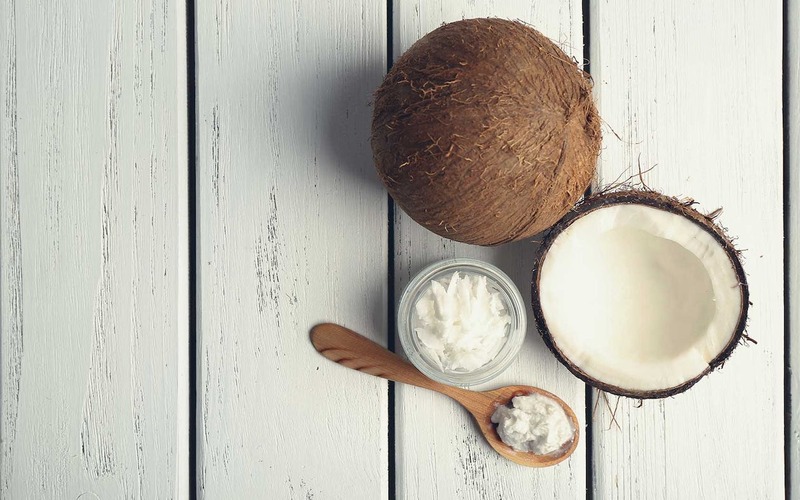 The benefits of this coconut derived superfat are all the rage across the internet these days, but how do you reap the rewards? In this article you will learn about MCT oil‘s numerous health benefits, ranging from improved cognitive function to better weight management and how you can incorporate them into your diet. MCT Stands for Medium Chain Triglycerides, a form of saturated fatty acid that has numerous health benefits, as opposed to long chain triglycerides (LCT), which are found in most foods. Fats like these are important to support a healthy brain and multiple body systems. 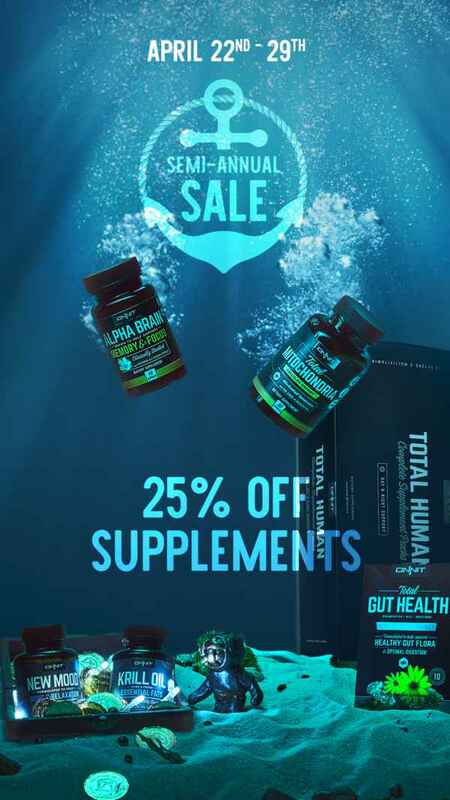 They play a particularly valuable role in weight management because of a positive effect on leptin receptors, assisting in keeping you feeling full and satisfied for hours. Coconut oil is a great source of MCTs — roughly 44- to 53-percent of the fatty acids in coconut oil are MCTs — but recently “MCT oil” extracted supplements have been growing in popularity. MCTs, also known as “MCFAs” which is short for medium-chain fatty acids, are a beneficial nutrient which is missing in most diets today due to the Standard American Diet, or SAD. This is as result of the longstanding myth that all forms of saturated fats are a heart attack waiting to happen. 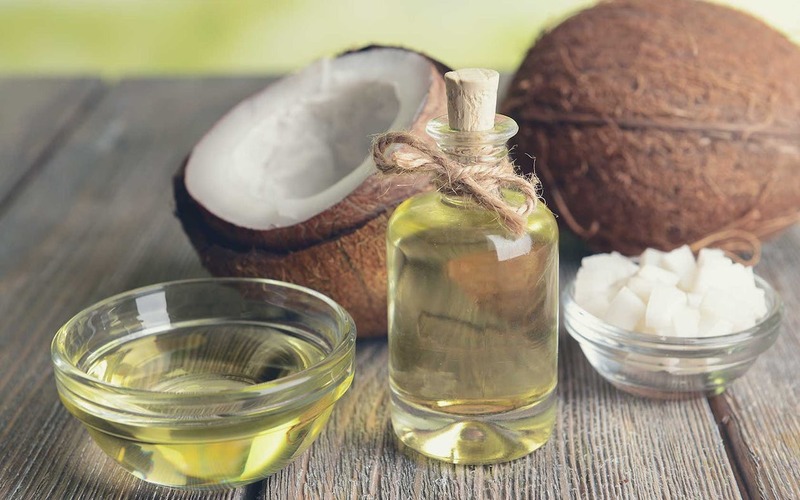 However, recently research has shown a lot of evidence about the real truth regarding saturated fats, which has led professionals athletes, fitness enthusiasts and nutritionists to embrace MCT oil for its fat burning capabilities. Lauric acid is pretty much the driving force behind the massive “re-branding” of coconut oil as a health food after being villianized for decades as a scary, saturated fat-laden food guaranteed to send you into cardiac arrest. But ever since the U.S. Government admitted it might have been wrong about the purported negative health effects of fats in our diets – particularly saturated fats derived from plant sources – coconut products have made a comeback, and in no small part due to the lauric acid benefits they impart. Lauric acid is a medium-chain fatty acid, or medium-chain triglyceride (MCT), found in foods that contain saturated fat. 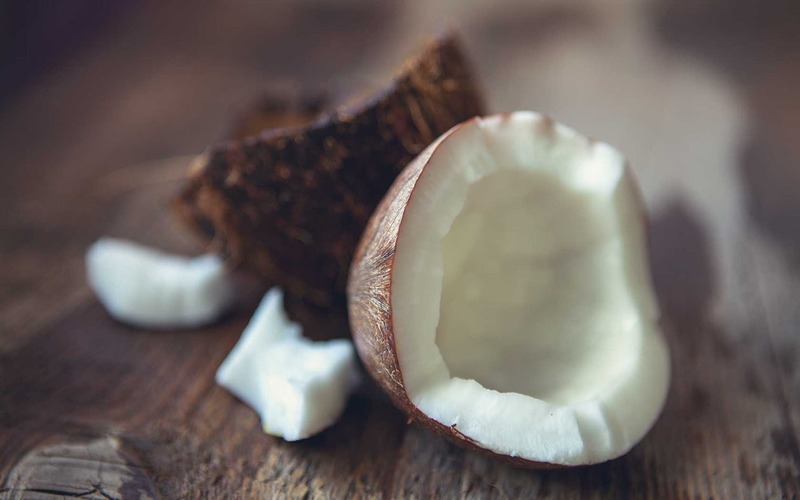 There are a number of foods which feature MCTs, including palm kernel oil and butter from grass-fed animals, but coconuts offer the highest levels of lauric acid hands down As stated before, the MCT content of coconuts is roughly 44- to 53-percent of their total fatty acid content. The reason this is important is because lauric acid is the precursor to a compound that does the body good – monolaurin. We are introduced to monolaurin as newborns and throughout infancy through human milk, and this compound serves as a strong antimicrobial agent and stabilizes mammalian cell walls. Monolaurin, ultimately, is the reason why you want to consume foods containing lauric acid. Even though fats may have gotten the A-OK from the government a few years ago, overall the jury’s still out concerning safe levels of consumption of saturated fats, as high levels of animal fat consumption are still associated with higher levels of cholesterol and cardiovascular disease. The exception may be saturated fat-rich foods featuring MCTs. One prime example is of a 1981 study published in the American Journal of Clinical Nutrition that looked specifically at two groups of people living in the Polynesian atolls – the Tokelauans and the Pukapukans. 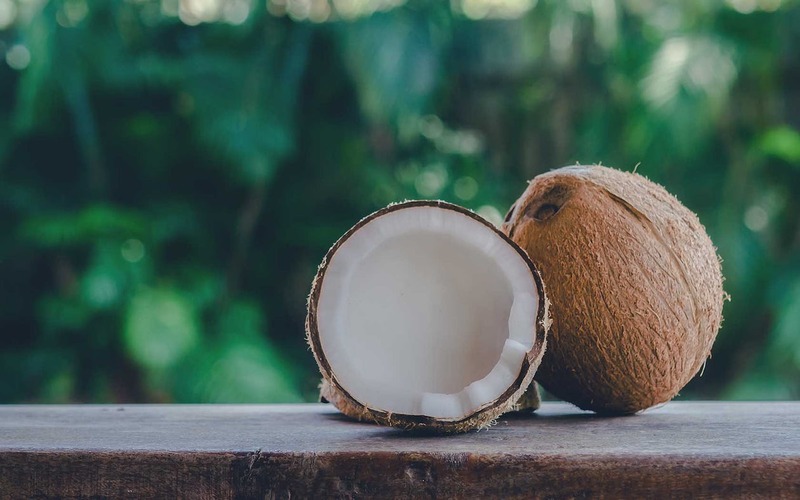 These groups consume 63-percent and 34-percent of their diet from coconut, respectively, which means they’re eating a lot of coconut, and as a byproduct, lots of saturated fats in the form of lauric acid and other MCTs. Despite their incredibly high levels of saturated fat consumption, heart disease is uncommon in both groups. This emerging body of evidence – combined with the changing public perception – points to the idea that saturated fats derived from foods containing lauric acid and MCT’s may be a beneficial part of most diets. Studies to date have been minimal, so more research certainly needs to be done, but there’s some indication that the way lauric acid and other medium chain fatty acids are quickly metabolized by the liver makes them less likely to contribute to fat accumulation than long chain fatty acids. For instance, a 2009 study published in Lipids, asked 40 women with abdominal obesity to consumed a low calorie diet with either one ounce of coconut oil or one ounce of soybean oil per day for 12-weeks. While both groups lost similar amounts of weight over the 12-week plan, those consuming soybean oil actually saw an increase in waist circumference at the end of the study, while those consuming coconut oil saw a decrease in waist circumference. Another 2015 article examining the importance of lauric acid in coconut oil highlighted the finding that lauric acid is rapidly metabolized and is an excellent source of quick energy for mitochondria in the liver. While other fatty acids require carnitine to diffuse across the mitochondrial membrane in the liver, lauric acid diffuses freely across these membranes. This free diffusion without the aid of a carrier makes lauric acid a highly efficient source of energy for the human body. In a world quickly becoming plagued by antibacterial-resistant bugs, it’s good to know there are some things you can do naturally to help stave off harmful microbes. Lauric acid, and more specifically its derivative, monolaurin, feature antimicrobial activity against gram-positive bacteria, as well as some fungi and viruses. This basically means they’re an ace in the hole when it comes to reducing your risk of contracting certain diseases, including candida, inflammatory acne, and MRSA – that lovely antibacterial-resistant staph infection you can pick up from “safe” places like the hospital or the gym. When MCT oil is metabolized in the body, it behaves more like a glucose or carbohydrates than a fat, and your body prefers glucose as a fuel source. MCT oil does not go through the lymphatic system. It is sent straight towards the liver where it is processed, releasing energy, much like glucose, and creates ketones, which can nourish the body as an alternative fuel source. The beauty of this is the liver requires minimal action to convert MCTs directly into fuel in the form of ketones. Ketones are one of the brain’s two primary fuel sources, and also a vital source of ATP energy for the body. ATP energy is what allows every muscle to move inside your body. You may have heard people discussing the ketogenic diet, which is a diet designed to help the body run on ketones (from fats) rather than glycogen (from carbohydrates). This state is called ketosis. 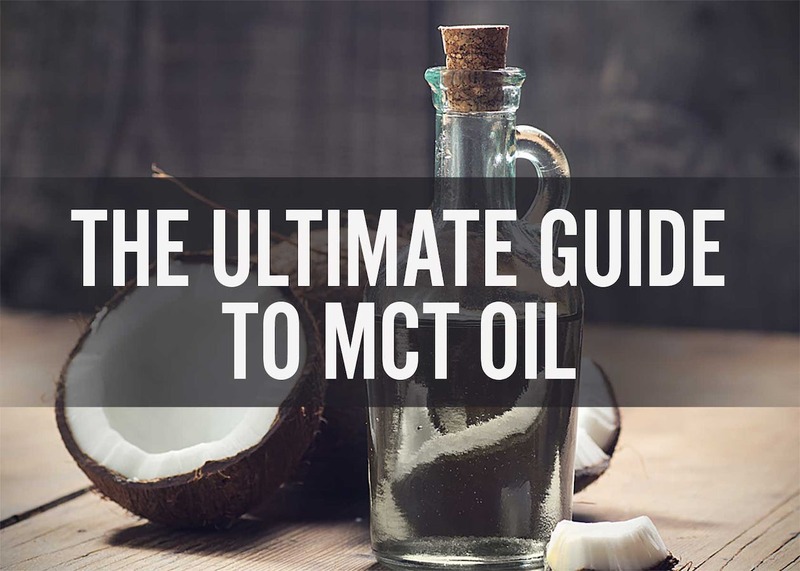 For anyone on a ketogenic or low carb diet, MCT oil is pure gold. But you don’t need to go full ‘keto’ to benefit from ketones. For high intensity athletes and those following a higher fat, lower carbohydrate diet, MCTs can serve as a vital source of energy to fuel yourself through even the most intense workouts. As, stated before, there are several scientific studies showing the benefits of MCT’s as part of a weight management regimen. The potential reasons for this are varied. For one, MCT has a beneficial effect on Leptin receptors, helping to optimize signals of satiety. This generally correlates to a reduction in caloric intake and improvement of insulin response (source). Secondly, the MCT’s quickly convert into caloric energy, rather than being stored as fat on the body. There is also a post-meal thermogenic effect noted in one particular human trial on both lean and obese patients. It’s believed that they help the body produce ketones, which gives you the same benefits as the ketogenic diet without needing to cut carbs to drastically low levels. MCTs are one of the best fats you can include on a ketogenic diet, because of their thermogenic effect in the body and ability to be used for quick energy, especially when someone is limiting carbohydrates. To sum up: MCT’s are rarely stored as fat, provide virtually instant fuel, help you feel full, and may contribute to thermogenesis. Coconut oil contains MCT’s, but only in relatively small quantities. C8 MCT (Caprylic Acid) comprises roughly 6% of coconut oil, and C10 (Capric acid) is usually around 9%. These two forms of MCT are particularly valuable because they take far fewer steps to convert to caloric energy than the other saturated fat forms found in coconut oil. Coconut oil is great, but if you really want to benefit from the fast acting fuel of MCT’s, choosing MCT oil is the way to go. When using an MCT that is derived from pure coconut oil, there is a delivery of approximately 30% Lauric Acid which is, as stated before, an important form of MCT that acts as a slower burning fuel source. This is an excellent complement to the faster burning C8 and C10 chains, allowing for a longer energy curve and an optimized digestive experience. In addition, Lauric Acid is a raw source material for the production of monolaurin, a potent immune system benefactor. Monolaurin is actually found naturally occurring in human breast milk, and is particularly beneficial to helping maintain optimal gut health. Some biohackers out there use MCT oil daily just like a supplement, straight from the spoon or mixed into drinks. But, there are multiple ways to incorporate your MCT oil into your diet. 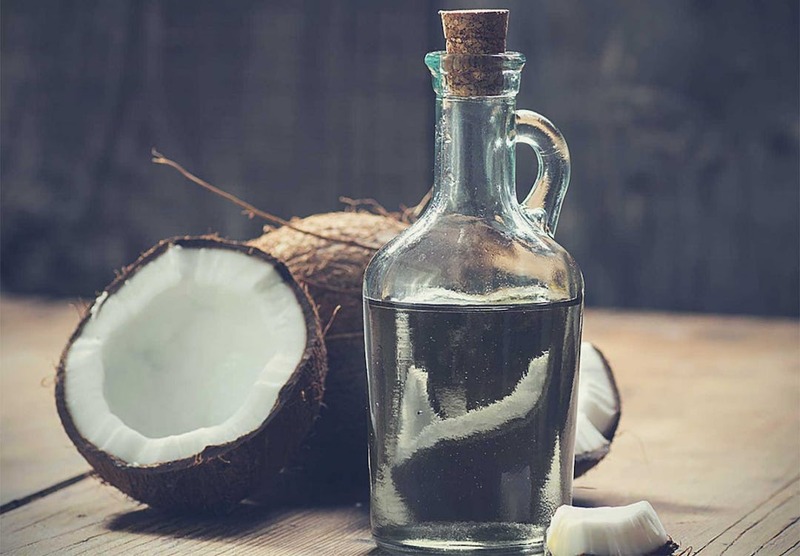 Your 3 best options are using coconut oil, MCT oil, or emulsified MCT oil, which is an easy way to get all the benefits of MCT oil in a matter of seconds. What is emulsification? It’s essentially a process that allows two liquids to blend that wouldn’t physically or chemically combine otherwise. If you want to learn more about emulsification, read this article. But, let’s just say if you’re one of those people who looks for the path of least resistance when it comes to food preparation, emulsified MCT oil is the choice for you. Grab cup. Pour liquid. Add EMCT oil. Enjoy. No magic bullet or blender required. But the uses don’t stop there. You can add emulsified MCT oil to your morning oatmeal, full-fat Greek or Skyr yogurt, caffeinated beverages and protein shakes. The options are endless. ● Cooking and baking at high temperatures: use ghee (clarified butter). It has lower MCT content than coconut oil, but has a higher smoke point. ● Cooking and baking at medium temperatures: use coconut oil. It has higher MCT content than ghee or butter, but a lower smoke point. ● Mixing and blending with un-emulsified fats at medium temperatures: use MCT oil – a concentrated source of lauric acid with a low smoke point. ● Stirring into any substance at any temperature: use emulsified MCT oil. There’s typically a lower concentration of lauric acid than MCT oil, but it mixes much easier. To save you time, we tried mixing the EMCT oil with a grass-fed butter in coffee and the fat molecules from the butter separated and rose to the top. We also tried blending them. Still no luck. 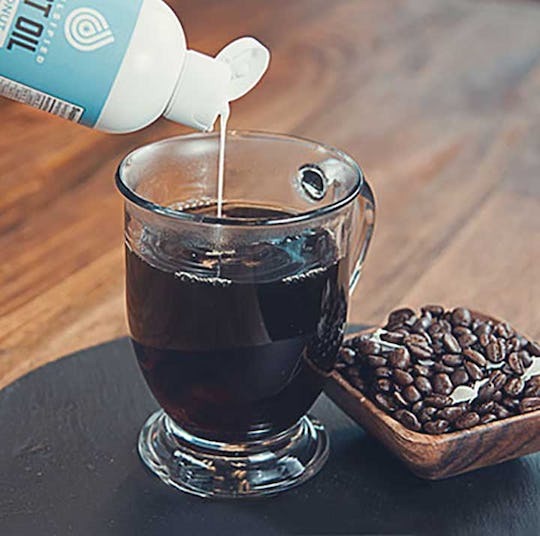 Emulsified MCT oil looks, acts and tastes like your standard creamer with added benefits. For a nutritionally dense dietary addition without a ton of prep time, this is your go-to. Add to: liquids, yogurt, oatmeal, shakes, sauces, puddings, dressings and even your Paleo-friendly, coconut-based whipped cream, the possibilities are endless. MCT oil looks like a melted version of coconut oil. It acts [nutritionally] like a concentrated version of coconut oil. And it has a neutral taste, so it blends with virtually anything. Add to: drinks in combination with another un-emulsified fat, i.e. grass-fed butter. Note: use of blender required. Cool guide, definitely looking to continue using MCT oil! Seriously, not even a mention about the potential colon death blow that can occur if you overdo it on the MCT’s?! I think this is what you’d call a missed opportunity! Could you explain what you mean by “colon death blow”? Sure thing! So what you do is take 3-4T of MCT’s (5-6 if you’re really feeling gutsy!) and sit back until you start feeling a rumbling in your guts. Next, immediately seek your closest men’s room and get comfortable cause chances are you’ll be paying multiple visits over the next 2-3 hours! I agree they didn’t touch on that subject BUT if you do look at the back of the bottle, it says to take one serving. I realize that in America, you have to put labels on everything because nobody uses common sense and sometimes, they still don’t read labels. Anyone who is familiar with coconut oil or anything of the like knows that if you consume too much too fast, you will be regretting it. I know this because when introduced to keto, I was warned to “sip” on my coffee, as too much coconut oil in a small time will have bad reactions. Too cost prohibitive for me, I’ll stick to coconut oil. I’ve had my keto flu and now I can eat quite a bit of coconut oil (on a high fiber diet) without trouble. Seems like a pretty straight forward collection of info on MCT’s. Hardly an ultimate guide though. I would have expected 4x as long to start to qualify as Ultimate. The lauric acid is removed when the coconut oil is transformed into MCT oil. This author has it wrong on that, the lauric acid is what keeps coconut oil solid at room temperature. The good news is that there is supplement called monolaurin which is loaded with lauric acid. But, regardless, the author of the article is wrong. The author says its all about C12 (Lauric acid) but MCT is all about C8 and C10. 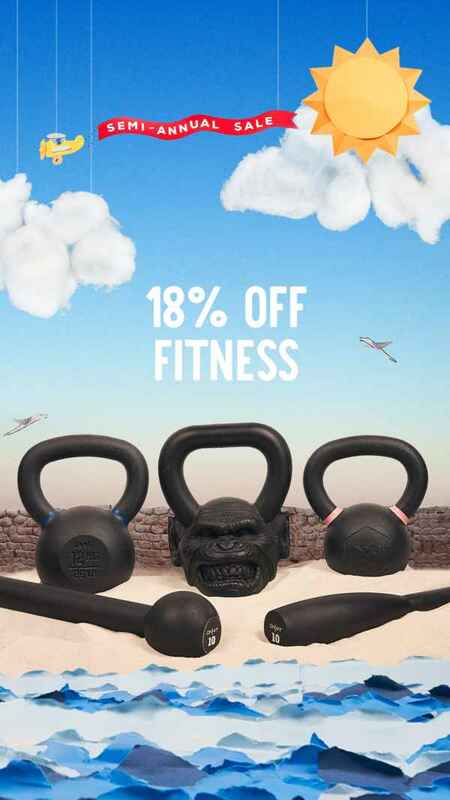 The C12 actually is slower burning fat, and is not a true medium chain apparently. It’s also not worth getting from MCT oil as its much more available and cheaper from just regular coconut oil. C8 is the key MCT ingredient, and C10 still great, but a little less so, but its cheaper / more available, so its often bundled in with the MCT oils. 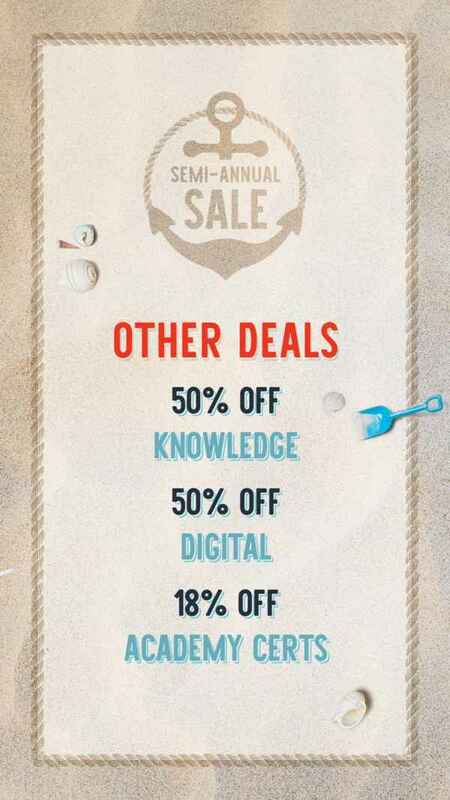 Onnit should update this, and do proper research. 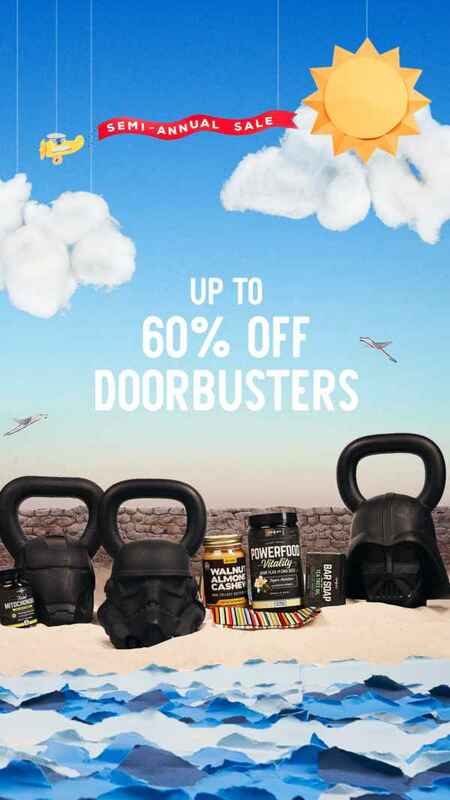 For this reason alone, I am inclined to avoid onnit mct oil as they clearly don’t know what they are talking about. Google it yourself if anyone is sceptical.